In 1962, during the new moon cycle of one of the most devastating coastal storms in New Jersey history, the Long Beach Island shoreline had been split in half at its narrowest point, the small barrier island town of Harvey Cedars. 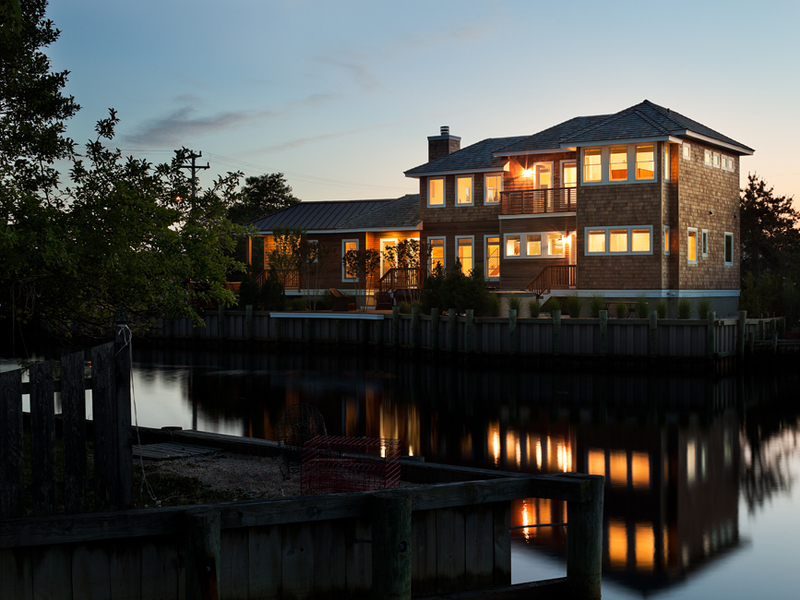 Named after this infamous storm and the particular location of the property, New Moon Cottage is an 1800 square foot weekend and summer residence located on Harvest Cove along Barnegat Bay. Due to extremely restrictive site and zoning constraints such as building coverage and setback requirements, the plan had taken on a linear quality and somewhat serpentine circulation flow to satisfy the client's program and still achieve maximum openness and efficiency. Much of the design took its cues from maximizing water views, natural day lighting and breezes, and solar orientation. 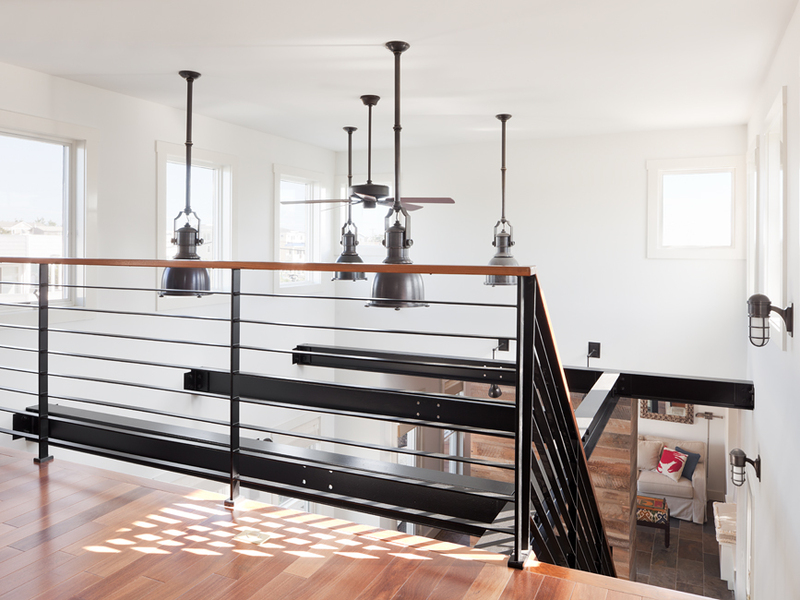 A surfboard storage room was designed as a focal point near the main entrance for easy access and as a gesture to the owner's passion for surfing. 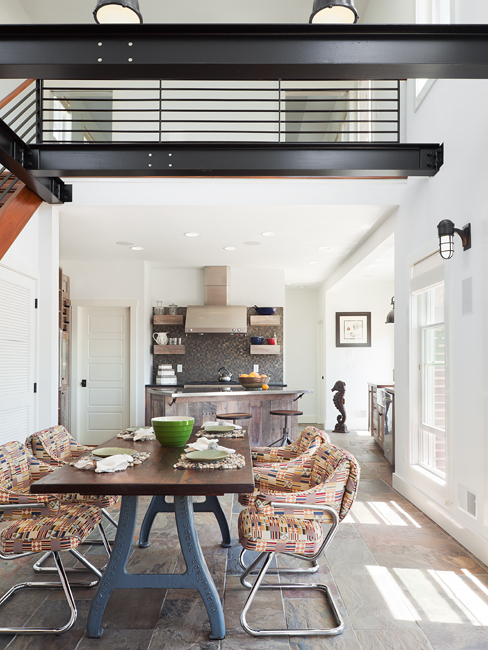 Houzz.com: "Mixed company seating at a rustic table, steel beams and a stunning fireplace covered with worn wood panels, invite you in for a meal. The view almost takes a back seat to this stunning space."